The 31-year-old German from Audi Sport Team Rosberg is the man of the moment in the DTM. With his four straight wins recently, he thwarted an early title decision. At the finale in Hockenheim, he could still overtake the two Mercedes-Benz pilots Paul Di Resta and Gary Paffett on the final stretch of the championship. At the previous nine races, Rast earned an average of 19.5 points per race, slashing the gap in the overall classification to 30 points. 56 points are still up for grabs at Hockenheim: 25 for each win, three for each pole position. If Rast collects full points on Saturday, the title will only be decided on Sunday – regardless of his title rivals’ results. If Di Resta and Paffett go home empty-handed, Rast has to earn at least two points on Saturday. 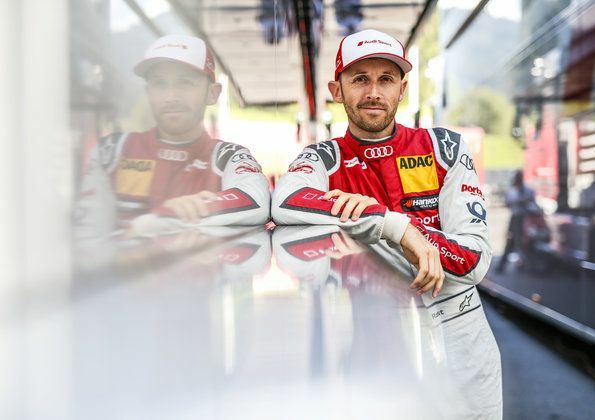 “After our difficult start to the season we didn’t expect to be fighting for the championship at the end,” says Head of Audi Motorsport Dieter Gass. “It’s thanks to René and especially to our team that we’re still in the running. To bid farewell to Mercedes-Benz from the DTM, all six Audi RS 5 DTM will compete with the words “SEE YOU!” with the letter “O” as a star. “Mercedes-Benz was always an extremely strong rival that pulled out all stops,” says Head of Audi Motorsport Dieter Gass. The two final rounds of the 2018 DTM season take off on Saturday and Sunday at 13.30 CEST. SAT.1 broadcasts both races live from Hockenheim from 13.00 hours. Tickets for the final race weekend are available online at www.audi.com/dtm. Students are admitted free. On Saturday evening, a Disco Boys concert will be held on the show stage in the paddock from 19.00 hours. Many DTM fans are also looking forward to the Touring Car Classics event and the first GT4 Sprint Cup Europe race run as support to the DTM.